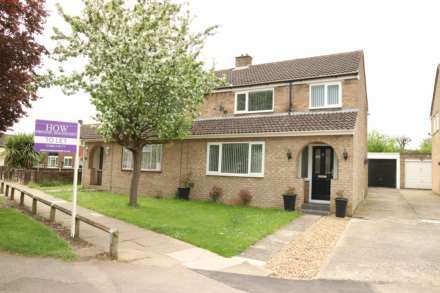 MIDDLETON PRIMARY & OAKGROVE SCHOOL CATCHMENT........2335 Sq Ft..........Homes On Web are absolutely delighted to announce to the market this five double bedroom detached property situated in a cul-de-sac in the sought after area of Middleton. With its close proximity to local shops and amenities, including Middleton Primary and the Oakgrove school catchment and close to Kingston District Centre which is home to a variety of popular shops and restaurants, this property really does tick all of the boxes you would want for a family home. Also close by is Willen Lake, which provides beautiful picturesque walks and scenery. In brief this property comprises; Entrance hall, cloakroom, lounge, separate dining room, study, refitted kitchen and utility room. On the first floor there are five double bedrooms, two with en suites and a family bathroom. Outside you will find a rear garden perfect for entertaining. To the front there is a gated stoned driveway providing off road parking leading to a double garage. Internal viewing is highly recommended to fully appreciate the accommodation on offer. Double glazed front door. Double doors leading to entrance hall. Stairs rising to first floor accommodation. Storage cupboard. Doors leading to downstairs cloakroom, kitchen, sitting room, family room, dining room and study. Fitted in a two piece suite comprising; Low level WC and wash hand basin. Tiled to splashback areas. Tiled flooring. Spot lights. Radiator. Double glazed frosted window to side. Double glazed window to side. Solid wood flooring. Radiator. Double glazed bay window to front and window to rear. Open fireplace. Radiator. Double glazed doors leading to rear garden. Refitted in a range of wall and base units with complementary work surfaces surrounding a dining island. One and a half bowl stainless steel sink and drainer with mixer tap. Induction hob and double electric oven with cooker hood over. Tiled to splashback areas. Built in dishwasher. Tiled floor with under floor heating. Door leading to utility room. Double glazed windows to rear. Double glazed doors leading to rear garden. Fitted in a range of wall and base units with complementary work surfaces. One bowl stainless steel sink and drainer with mixer tap. Plumbing for washing machine and space for dryer. Wall mounted boiler. Tiled flooring. Door leading to kitchen. Door leading to side garden. Airing cupboard. Radiator. Spot lights. Doors leading to all first floor accommodation. Double glazed windows to side. Skylight window to rear. Built in wardrobe. Radiator. Door leading to en suite. Fitted in a four piece suite comprising; Low level WC, wash hand basin, panelled bath and double shower cubicle. Extractor fan. Skylight window to side. Fitted in a three piece suite comprising; Low level WC, wash hand basin and shower cubicle. Tiled flooring. Radiator. Double glazed frosted window to side. Fitted in a four piece suite comprising; Low level WC, wash hand basin, panelled bath and shower cubicle. Tiled to splashback areas. Extractor fan. Radiator. Double glazed frosted window to front. Landscaped rear garden which is mainly laid to lawn. Patio area with ambient lighting throughout with shrub boarders. Enclosed by wooden fencing. Enclosed by wooden gates is a stoned driveway providing off road parking for approximately four cars. Up & over doors with power & light. Door leading into the rear garden.